Think about recent tax law changes and your business: There’s the new 20% pass-through deduction for qualified business income (QBI) and the enhancements to depreciation-related breaks. There’s also the reduction or elimination of certain business expense deductions. However, if your business sponsors a 401(k) plan, then there are also a couple of recent tax law changes you need to be aware of. A great way to get a low-interest loan would be to borrow from your 401(k). But what happens if you leave the company (voluntarily or otherwise)? I’ll tell you; you have 60 days to either roll over the 401(k) into another qualified account or repay the loan. If the loan is not repaid, it then goes into default and is reported to the IRS as taxable income (and be subject to a 10% early distribution penalty if the employee was under age 59½). However, under The Tax Cuts and Jobs Act (TCJA), starting 2018 any loans taken from your 401(k) now allows more time for the borrower to repay. Instead of the 60-day window, borrows now have until their tax return filing due date — including extensions — to repay the loan (or contribute the outstanding balance to an IRA or qualified retirement plan) and avoid taxes and penalties. To sum up, if you borrowed from your 401(k) and leave your job in 2018, you now have until April 15, 2019 to repay the loan. Some 401(k) plans allow for hardship withdrawals. If the 401(k) plan does include Hardship, an employee is allowed to take the withdrawal if their hardship falls under it’s criteria: purchase of a new home, damage/repair expenses for your home, payment expenses to avoid evictions or foreclosure on your home, unexpected medical costs, tuition/educational fees, or burial/funeral expenses. Before, a person could only borrow what they contributed into their 401(k). Beginning in 2019, the Bipartisan Budget Act (BBA) eases restrictions on employee 401(k) hardship withdrawals. Now, a person can not only withdraw their own contribution, but they can also withdraw their employer matched contributions plus earnings on contributions. This deduction will be considered taxable income and subject to the 10% early distribution tax penalty. While this may sound beneficial, many people do not save enough for retirement. In addition, it is taking Americans longer to pay back loans thus missing out on potential tax-deferred growth during that time. Hardship withdrawals can result in a smaller, perhaps much smaller, nest egg at retirement. So consider educating your employees on the importance of letting their 401(k) accounts grow undisturbed and the potential negative tax consequences of loans and early withdrawals. The team at Patrick & Raines CPAs have many years of experience helping small business owners and financial planning. Contact us at Office@CPAsite.com or 904-396-5400 if we can help you! 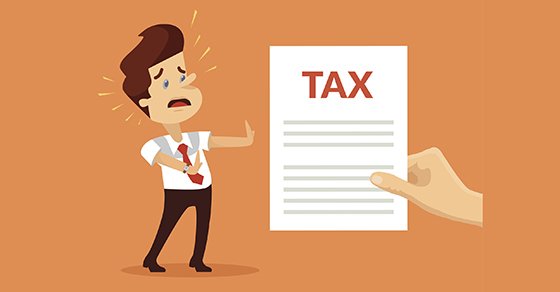 Beware of unexpected tax liabilities under new accounting and tax rules! Business owners have been hearing from us for a while now that the Tax Cuts and Jobs Act (TCJA) contains a provision that ties revenue recognition for book purposes to income reporting for tax purposes, for tax years starting in 2018. This narrow section of the law could have a major impact on certain industries, especially as companies implement the updated revenue recognition standard under U.S. Generally Accepted Accounting Principles (GAAP). Accounting Standards Update (ASU) No. 2014-09, Revenue from Contracts with Customers, went into effect for public companies this year; it will go into effect for private companies next year. The updated standard requires businesses to all use a single model for calculating the top line in their income statements under GAAP, as opposed to following various industry-specific models. The standard doesn’t change the underlying economics of a business’s revenue streams. But it may change the timing of when companies record revenue in their financial statements. The standard introduces the concept of “performance obligations” in contracts with customers and allows revenue to be recorded only when these obligations are satisfied. It could mean revenue is recorded right away or in increments over time, depending on the transaction. The changes will be most apparent for complex, long-term contracts. For example, most software companies expect to record revenues in their financial statements earlier under ASU 2014-09 than under the old accounting rules. Some companies delivering complex products, such as an aerospace parts supplier making a custom component, can receive payments from customers years before they build and deliver the product. Under ASU 2014-09, a business can’t recognize revenue until it’s completed its performance obligations in the contract, even if an amount has been paid in advance. However, under Sec. 451(c), companies may be taxed before they recognize revenue on their financial statements from contracts that call for advance payments. Will the changes affect your business? Changes in the TCJA, combined with the new revenue recognition rules under GAAP, will cause some companies to recognize taxable income sooner than in the past. In some industries, this could mean significantly accelerated tax bills. However, others won’t experience any noticeable differences. We can help you evaluate how the accounting rule and tax law changes will affect your company, based on its unique circumstances. View our related seminar by going to our home page, www.CPAsite.com, and clicking on the Tax Reform Changes button. Sec. 179 expensing is valuable because it allows businesses to deduct up to 100% of the cost of qualifying assets in Year 1 instead of depreciating the cost over a number of years. Sec. 179 expensing can be used for assets such as equipment, furniture and software. Beginning in 2018, the TCJA expanded the list of qualifying assets to include qualified improvement property, certain property used primarily to furnish lodging and the following improvements to nonresidential real property: roofs, HVAC equipment, fire protection and alarm systems, and security systems. The maximum Sec. 179 deduction for 2018 is $1 million, up from $510,000 for 2017. The deduction begins to phase out dollar-for-dollar for 2018 when total asset acquisitions for the tax year exceed $2.5 million, up from $2.03 million for 2017. For qualified assets that your business places in service in 2018, the TCJA allows you to claim 100% first-year bonus depreciation — compared to 50% in 2017. This break is available when buying computer systems, software, machinery, equipment and office furniture. The TCJA has expanded eligible assets to include used assets; previously, only new assets were eligible. However, due to a TCJA drafting error, qualified improvement property will be eligible only if a technical correction is issued. Also be aware that, under the TCJA, certain businesses aren’t eligible for bonus depreciation in 2018, such as real estate businesses that elect to deduct 100% of their business interest and auto dealerships with floor plan financing (if the dealership has average annual gross receipts of more than $25 million for the three previous tax years). Keep in mind that Sec. 179 expensing and bonus depreciation can also be used for business vehicles. So purchasing vehicles before year end could reduce your 2018 tax liability. But, depending on the type of vehicle, additional limits may apply. 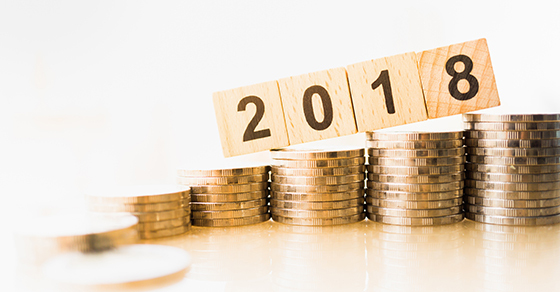 Investing in business assets is a traditional and powerful year-end tax planning strategy, and it might make even more sense in 2018 because of the TCJA enhancements to Sec. 179 expensing and bonus depreciation. If you have questions about these breaks or other ways to maximize your depreciation deductions, please contact us at Office@CPAsite.com or 904-396-5400. So you’ve decided: you reached the point in your business growth to turn that lifetime of sweat equity into cash, financing your dreams of traveling around the world…or at least around a few golf courses. You’re convinced it’s worth millions, but when that first offer comes, you find at best, after a broker’s commission and income taxes, you’ll see a third or more evaporate before you even find a broker to invest those few remaining bucks. Allocate as much of the transaction to the sale of goodwill, not toward non-compete agreements or asset sales. This tactic maximizes the portion of the sale to be taxed at lower capital gains rates. Consider selling under an installment agreement: you hold a note from the buyer for a few years instead of taking the total sale amount in cash. This approach defers the income tax over the life of the note by keeping your annual income down. Holding a note also pays you a rate of interest somewhat higher than you would get at a bank. It might even get you a better price, because the buyer can likely better afford to pay more over time than in a lump sum. The buyer could also save some closing costs over bank financing. If you aren’t ready to quit working, and you agree to an asset sale instead of a stock sale, keep the business alive for a few more years. You can continue taking a salary and add a robust retirement plan or other fringe benefits to shelter some of the sales-deferred proceeds. In a few years, you can withdraw from that plan when your taxable income may be lower. If you agree to stay on to help the buyer for a few years, this strategy also works well by taking that compensation through your old corporate shell instead of as a W-2 employee from the buyer. For a larger business, look into selling all or part of your stock to an ESOP (Employee Stock Ownership Agreement). Selling to an ESOP can make some or all of your sales proceeds tax-deferred. ESOPs keep your business going and your employees incentivized to make it succeed in the future. Banks generally love to fund loans to these plans for the purchase, giving you liquidity from the sale or an infusion into the business at a small financial cost (other than some dilution of your ownership share). Each sale is different and some financial retirement planning can be very worthwhile before committing totally to that first asset purchase agreement shoved in front of you. A few hours talking to some business profit consultants and financial planning advisors could yield large tax savings and/or better proceeds at closing. Our Patrick & Raines CPAs professionals can serve as your advisory team quarterback, coordinating the work of your wealth manager, banker, insurance agent, business broker and…CPA! Contact us at Office@CPAsite.com or 904-396-5400. If audited by the IRS, who can represent you?